The Leader of the Islamic Revolution said unlike some scholars who say the new year is a year of threats, he believes that year 1398 is a year of opportunities and openness. 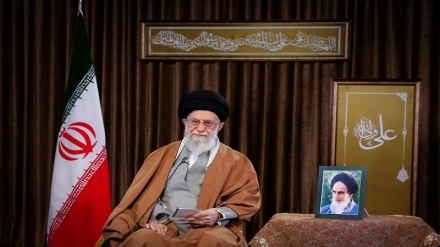 Iran Press/Iran news: In his annual speech in holy city of Mashhad, Ayatollah Seyyed Ali Khamenei said: "Some have suggested that this year is a year of threats. I do not believe in that at all. I believe the Persian year 1398 is the year of opportunities, by God's grace, the year of productivity and success." His eminence asserted that sanctions could be an opportunity and the observation of weaknesses and defects could give a valuable experience for managing the coming years, so both of these could be an opportunity, Iran Press reported. 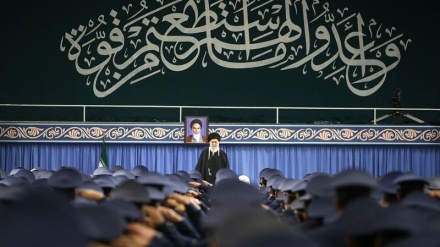 Ayatollah Seyyed Ali Khamenei said: "Today, in terms of defense capabilities, our status is better than all the countries of the region, and much to the enemy's dismay, we will continue to strengthen our defense stamina." Pointing to the western governments, the Leader of the Islamic Revolution said: "In order to build up deterrence, we should abandon Western aid, since the West showed that we could not expect them to help." 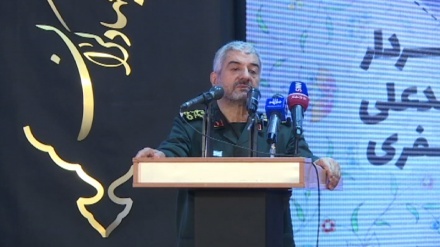 His eminence stressed that Europeans made excuse to evade their commitments and even went as far as imposing new sanctions on Iran, adding that: However, they did not resist on the pretext of numerous excuses. Not only they did not stand up to the US, they also practically withdrew from the JCPOA even though they had insisted that we should keep to it. That is, they even imposed new sanctions against Iran. The Leader went on to say: "When Europeans act in this manner, what can we expect them? What has recently been said about the new financial channel they created is more like a joke. This is a sad joke, a nonsensical joke. Their duty is totally different from what they are suggesting to do. In our most recent international affair, the Europeans betrayed us again. We cannot expect them to act appropriately."